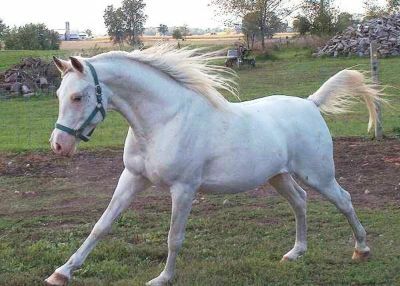 Dominant White Arab Stallion Kholor By Design, son of the founder dominant white stallion R Khasper. 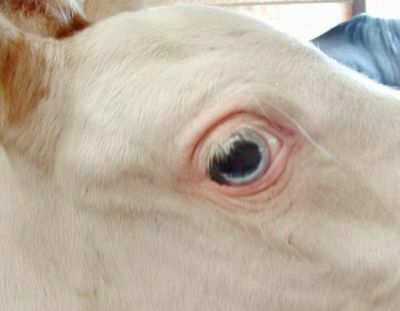 He has almost one completly blue eye, and a couple of brown spots in the other eye. (See photos below). Very many thanks to Tamara Dirrim of Tamar's Ventures (Arabians-Morgans-Morabs) for sharing these pictures of her stallion. 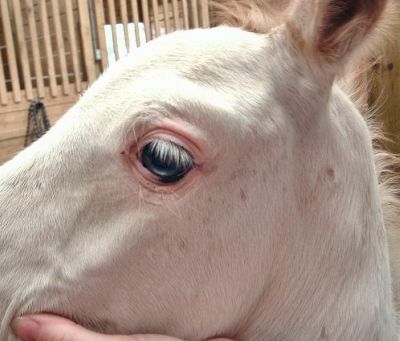 It will be most interesting, in due course, to see what foals he produces.